Should you tip your carpet cleaners? When you receive services such as the services you receive from a waiter or waitress or from a hair dresser you usually tip these people. Why do you tip them? Is it just because they served you or because its the norm? Well usually you tip because they provided you with a service and did a great job. Well the same goes for your local carpet cleaners. Not only are these carpet cleaners coming out to your home instead of you coming to them they are providing a service. If their service provided was outstanding doesn’t your technician deserve a reasonable tip? 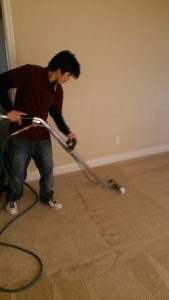 It could be said that because you are already spending large amounts of money on the carpet cleaning that you may not feel the need to tip because it means more money out of your pocket. 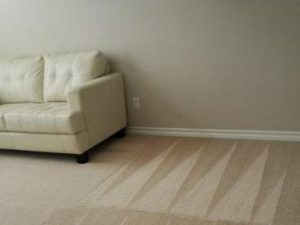 However, most carpet cleaners only receive a small percentage of commission off of the jobs they perform. Some carpet cleaners are known to make as low as 10% commission no matter how big or small a job is. These carpet cleaners are working no matter how hot or cold it is outside. It is a lot of work to carry heavy equipment into your home and to perform the actual cleaning is even more back breaking work. Beyer Carpet Cleaning pays a fair rate of commission to their technicians (way more then 10%); however, their technicians work hard to provide not only a great cleaning but great customer service as well. Now if you see someone working hard to get the job done and to make sure you the consumer are satisfied doesn’t that someone deserve a tip for their excellent service? So the next time you have a carpet cleaner at your home remember to tip them for their services. The best rate is 20% but of course it is up to you to decide what a fair rate would be for the services provided. Not only will the technician be glad you did they may even go the extra mile for you.